Rich Color. Shea Butter Soft. 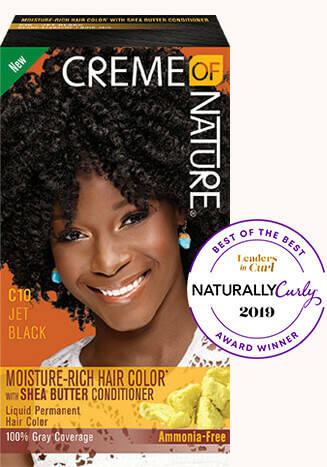 Experience Creme of Nature® Moisture-Rich Hair Color, with Ultra-Moisturizing Mango & Shea Butter Conditioner, for multi-dimensional color with radiant shine. Ammonia Free. 100% Grey Coverage. Liquid Permanent Hair Color for rich long-lasting color with shine.